Northlake Lutheran Church was founded in 1960 and is a congregation of the Evangelical Lutheran Church in America. We worship around 40-50 people on an average Sunday. We love being in Kenmore, WA, a dynamic and growing community at the north end of Lake Washington. Northlake is biblically based, with the gospel of Jesus Christ as the source of our faith and inspiration. Northlake is outwardly focused, the gospel compelling us to serve our immediate neighbors and community at large. Northlake promotes justice, the gospel compelling us to seek justice in our communities, nation, and the world. All are welcome to be part of the amazing things happening at Northlake! 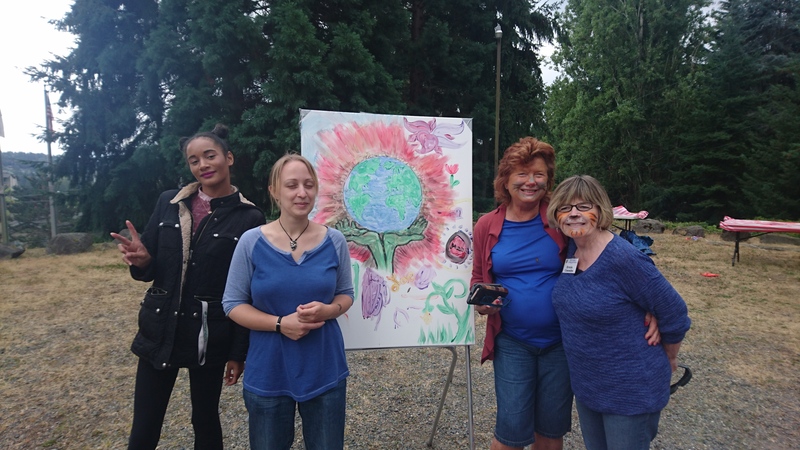 It was through a larger community effort that our Community Garden was just created - with only one Northlake member on the planning committee, accompanied by the pastor and three Kenmore neighbors! Bible Study: Tuesdays at 2pm. Volunteer opportunities with the Community Garden. Shelter for those without homes (in partnership with other faith communities, this shelter opens annually in October for one month on our property and then continues throughout the winter at other faith community locations). Plus other educational, outreach, and worship activities in the congregation. 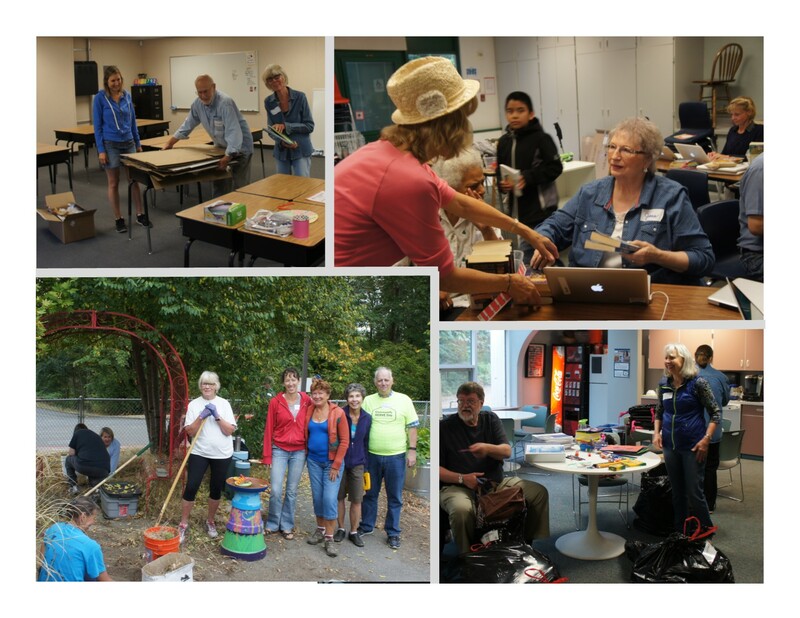 Living out the gospel means active involvement in our community. 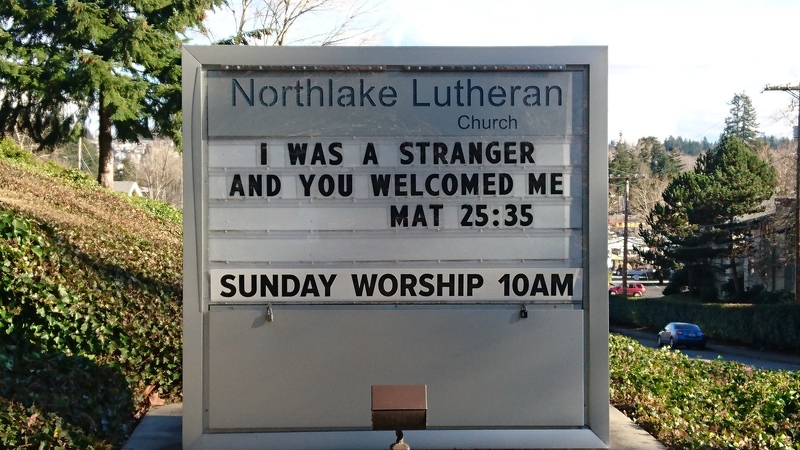 This includes activities like participating in Community Serve Day, packing backpacks for kids, taking worship to those who can’t come to us, and co-hosting public forums with the Kenmore Bothell Interfaith Group (KBIG). We continue to look for opportunities to partner with our neighbors of all faiths and spiritual journeys, eager to discover what God is already doing in our neighborhoods, while discerning how we can be part of this beautiful work.